Thillai Nataraja Temple, or Chidambaram temple is a Hindu temple dedicated to Lord Shiva located in the town of Chidambaram, East-Central Tamil Nadu, South India. 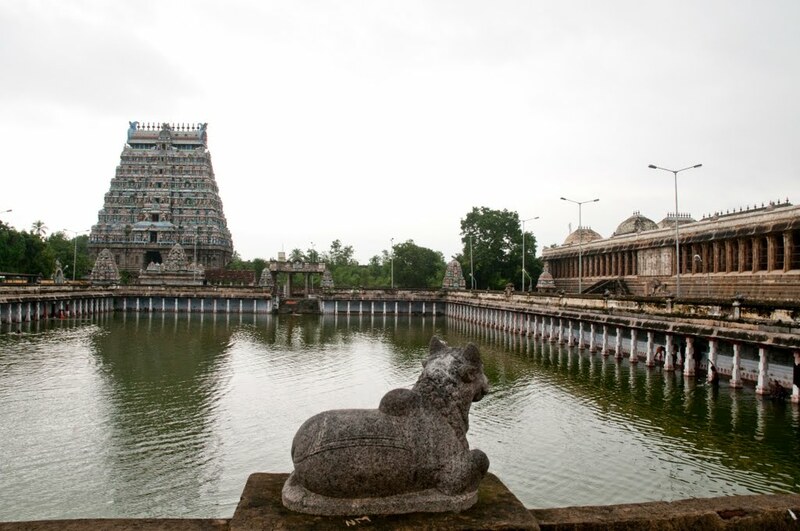 The temple is known as the foremost of all temples (Kovil) to Saivites and has influenced worship, architecture, sculpture and performance art for over two millennium. The Sangam classics list chief architect Viduvelvidugu Perumtaccan as directing an early renovation of the shrine. A unique feature of this temple is the bejeweled image of Nataraja. It depicts the Lord Shiva as the Lord of the dance Bharatanatyam and is one of the few temples where Shiva is represented by an anthropomorphic murthi rather than the classic, anionic Lingam. The Cosmic Dance of Lord Nataraja symbolises the motion of the universe as sustained by Lord Shiva. The temple has five courts. Aragalur Udaya Iraratevan Ponparappinan (alias Vanakovaraiyan) rebuilt the Siva temple at Chidambaram around 1213 AD. 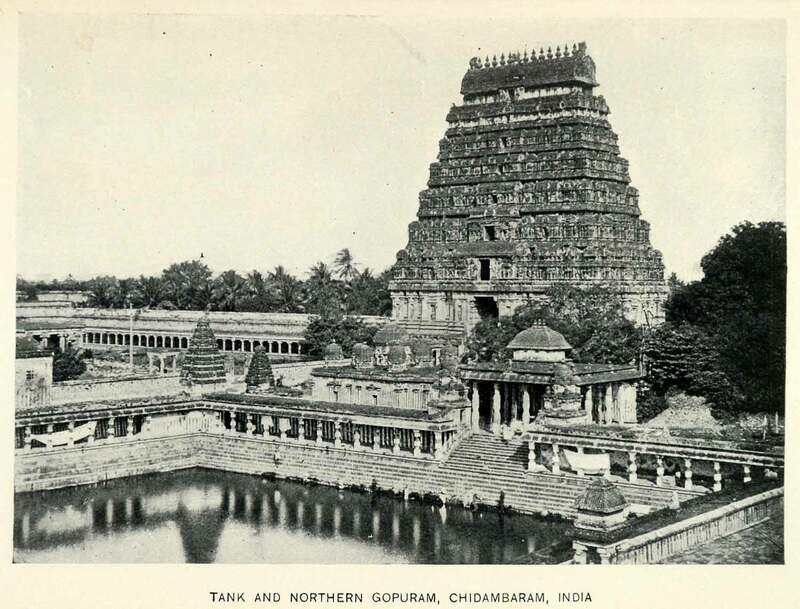 The same Bana Chief also built Tiruvannamalai temple.The temple has been traditionally administered by an endogamous group of shiavite brahmins called Dikshitar, who also officiate as its priest. Chidambaram is also referred to in various works such as Thillai (after the Thillai forest of yore in which the temple is now located), Perumpatrapuliyur or Vyagrapuram (in honour of Saint Vyagrapathar).The temple is supposed to be located at the Lotus heart of the Universe": Virat hridaya padma sthalam. On the spot where the Lord displayed his dance of bliss, the nanda Thaandavam - a spot exactly south of the "Thirumoolataaneswar temple", today is the Ponnambalam/ Porsabai (Pon meaning gold, Ambalam/Sabai meaning stage) housing the Lord Shiva in his dancing form. the "form" - the anthromorphological form as an appearance of Lord Nataraja, called the Sakala thirumeni. the "semi-form" the semi-anthropomorphological form as the Crystal linga of Chandramouleswarar, the Sakala nishkala thirumeni. the "formless" as the Space in Chidambara Rahasyam, an empty space within the sanctum sanctorum, the Nishkala thirumeni. 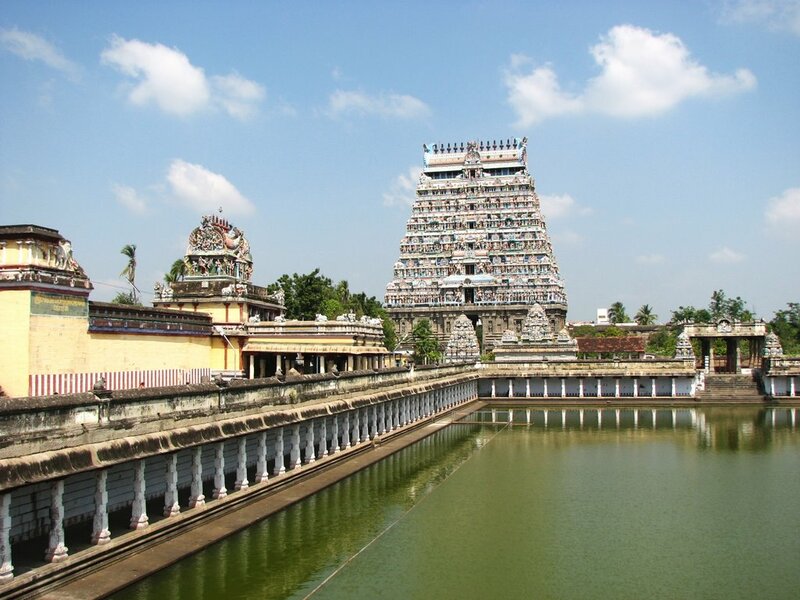 Chidambaram Temple is a Hindu temple dedicated to Lord Shiva located in the heart of the temple town of Chidambaram,Tamil Nadu).The temple , 78 km south of Pondicherry and 235 Km from Chennai, the capital of Tamil Nadu state of southeastern India. The Sangam classics refer to Viduvelvidugu Perumtaccan, respected clan of traditional Vishwakarmas, as being the chief architect of the temple renovation. There have been several renovations in its history, particularly during the days of Pallava/Chola emperors in ancient and pre-medieval periods. The temple complex spread over 50 acres in the heart of the city. 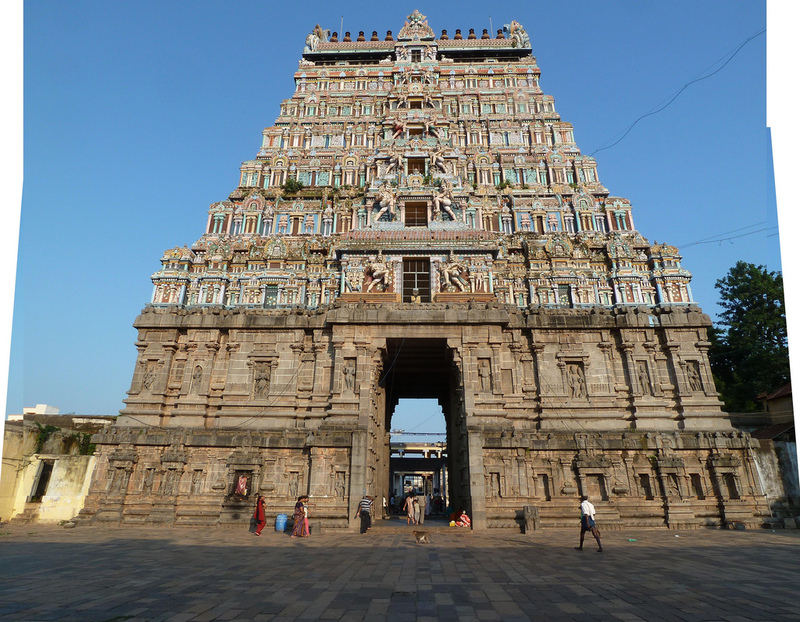 It is an ancient and historic temple dedicated to Lord Shiva Nataraja and Lord Govindaraja Perumal, one of the few temples where both the Shaivite and Vaishnavite deities are enshrined in one place.To the followers of Shaivism (Saivism) or the saivaite, the very word koil refers to Chidambaram. Do bath and wear clean clothes before you enter the temple.Do concentrate on God and Goddess inside the temple. Do not smoke at Temple.Do not consume alcoholic drinks at Temple. Sri Semmeninathar Karumbeswarar temple, Thiru..